Designer drugs, often referred to today as “research chemicals,” are newly synthesized compounds that are used recreationally. Most typically, these substances are designed to mimic the effects of already popular recreational drugs. Such substances are called analogs. For example, two analogs of heroinare the synthetic opioids fentanyl and carfentanil. Analogs of substances are often much more potent than the drugs them mimic. Fentanyl is said to be 100 times stronger heroin and, therefore, much more dangerous. 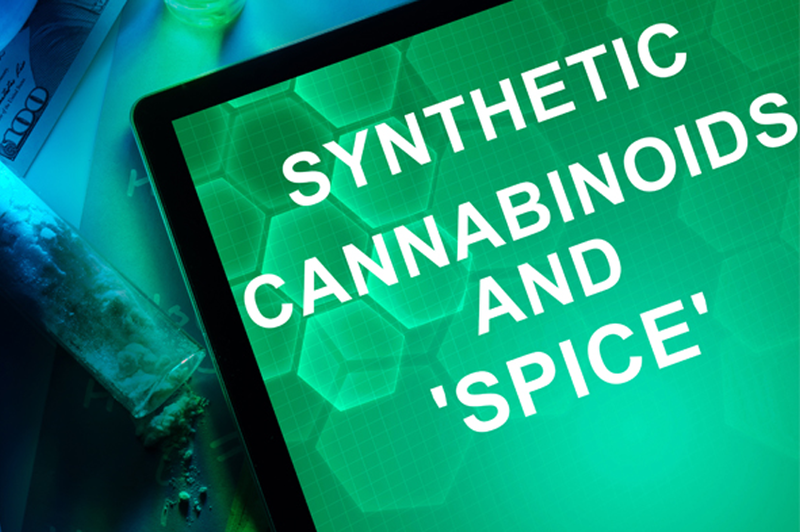 Over the past two decades, brands of synthetic cannabis like Spice and K2 have been involved in hospitalizations because of the higher potency and the unexpected side effects associated with chemicals that have not been researched and studied. It has become a common practice for black market drug manufacturers to produce and distribute analogs since they are easier to transport because of the fact they have not specifically been made illegal yet. Once law enforcement catches up and makes new designer drugs illegal, chemists can produce any number of analogs as replacements with similar effects to those of the drug they want to mimic. While some countries do have laws in place against the sale of analogs of illegal drugs, these regulations vary from place to place and create a legal grey area that manufacturers of designer drugs can exploit. Again, the dangers of these new designer drugs are unknown. They are very frequently more dangerous than the illegal drugs they are designed to imitate. Designer drugs are most often analogs of hallucinogens or stimulants that are found in bars, dance clubs and at parties. Marketed as “research chemicals,” designer substances have circulated on the internet for years now, taking advantage of one of the legal grey areas by labeling their products “not for human consumption,” or in other ambiguous ways. The dangerous stimulant mephedrone, for example, was the most common drug labeled as “bath salts.” Bath salts gained media attention because of the bizarre and frightening reactions users experienced under their influence. The term “bath salts” did not ever refer to one particular drug, it was just a way of labeling the substances so they could end up on the shelves in gas stations and convenience stores, or be mailed directly to home addresses. The ability to order these drugs on the internet make them appealing to teens who can’t legally buy alcohol or don’t have access to other substances. They can order what they want and have it shipped to them at home. Designer drugs will most likely arrive in suspicious packages with odd return addresses or no return address at all. The effects of using designer drugs vary, because the substances vary, but the signs and symptoms of a loved one using designer drugs will be similar to the behaviors of anybody struggling with a substance use issue. If someone you know is withdrawing socially, acting strangely, can be either noticeably over-active or fatigued, it is possible that they may be using designer drugs. With a substance use disorder, it can be difficult for the person who is afflicted to reach out for help. Feelings of guilt, shame and hopelessness can prevent them from believing they can get better, but this is not true. They can get better and everyone who is suffering deserves recovery. Addiction is a disease and a mental illness. Treatment that addresses a multi-faceted individual and seeks to understand the root causes of addiction can be the solution and the path to a better life. Inspire Recovery offers comprehensive drug and alcohol treatment geared towards understanding and healing. Make the choice to heal today. A better life awaits.